Manuel Pellegrini has again decided he must reinforce at the back as the third transfer window of his reign approaches. 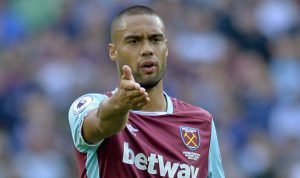 And that suggests that either of Winston Reid of Angelo Ogbonna could be on their way although it’s probably even money which one it will be. ClaretandHugh has been told by a senior insider that central defence is a key area this summer, hardly surprising with the Hammers goals against column reading 46, -higher than any other club in the top X1. The common wisdom is that Reid will be the player on his way but Pelle has demonstrated in the past that he gives every chance to players before making a “stay or go” judgement. That was famously demonstrated in the case of Robert Snodgrass who was believed to be available following his return from his Villa loan spell but has since made 34 appearances. The New Zealander is now running again and we were told that he would certainly be ready for a full pre-season when the manager will make a judgement. He will also address the midfield area where Pedro Obiang looks a likely departure and worries continue to swirl around Jack Wilshere. Wilshere should terminate his contact mutually , he cannot be relied upon his fotness is always a worry ! Yes defence also needs sorting the stats don’t lie. The thing is we need to replace players leaving with better quality if we want to improve , that clearly costs Money , note board ! With the strike force likely to be reduced to a grumpy Arnautovich this is also a priority. So we are agreed that all we need to strengthen is attack, midfield & defence. If Adrian goes make that goalie too! No problem if you have another £100m to spend.